From my small Brazilian firm Ricardo Wilson-Grau Consultoria em Gestão Empresarial Ltda, I support innovative social change and development initiatives world-wide to plan, monitor and evaluate their work. I apply a developmental evaluation mode and my other methodological pillars are Utilisation-Focused Evaluation and of course OM. 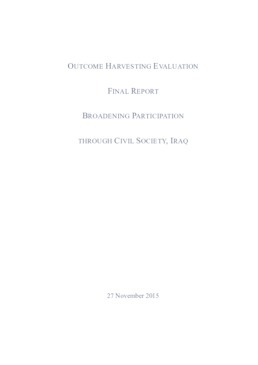 Through this practice, with colleagues I have developed the Outcome Harvesting tool that has been used by over 400 governmental agencies and civil society organisations in 143 countries on all seven continents to track and assess and learn from the results of their interventions. 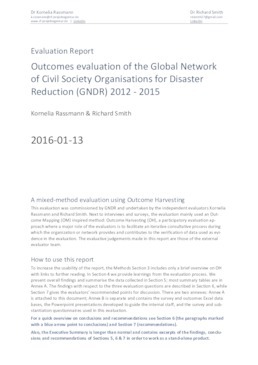 Recently, the UNDP evaluation office selected Outcome Harvesting as one of eleven promising innovations in monitoring and evaluation practice. Also, after piloting with ten projects, the World Bank Institute listed the tool amongst its resources for monitoring and evaluation. And, USAID choose Outcome Harvesting as one of five approaches especially well-suited for complexity-aware monitoring and evaluation. I believe that the social function of consultants is to generate knowledge that is of value to other practitioners. Thus, I spend a fourth or more of my time learning and sharing what I know, through research, networking such as the OM listserv, and writing. I discovered OM over ten years ago when evaluating an international network that had been unable to predefine the changes it aimed to achieve because of the complexity of the network itself and of its environment. By using the OM concept of outcomes led to the design of a highly participative tool to identify, verify, and make sense of outcomes without reference to predetermined objectives. 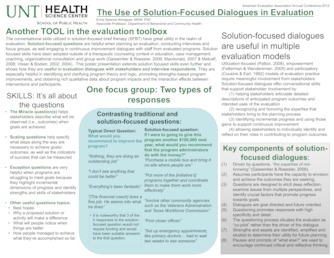 From that evaluation experience and two dozen more, emerged the Outcome Harvesting tool inspired and informed by OM to collect evidence of what has been achieved, and work backward to determine whether and how the project or intervention contributed to the change. I have been a member of the OMLC since 2003. I served on the board of stewards 2010-2014, the last two years as its first chair. My skills are based on my experience as a factory worker and door-to-door salesman in the USA, surveyor and community development worker in Colombia, publishing executive in the Caribbean, field director for the American Friends Service Committee in Guatemala, director of the Latin American Programme of experiential Friends World College, journalist and managing director of Inforpress Centroamericana, senior manager with Greenpeace International, and foreign aid advisor with Oxfam Novib, and most recently as an independent consultant. 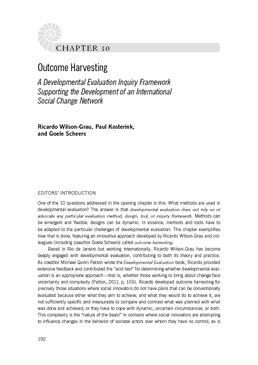 Developmental evaluation: I work with innovators operating internationally to plan, monitor and especially evaluate their solutions to new or intractable social change challenges. Cross-cultural. And, as a result of professional experience in over eighty countries, I am able to work with multi-national groups of people in English, Spanish, Portuguese, and with translators.